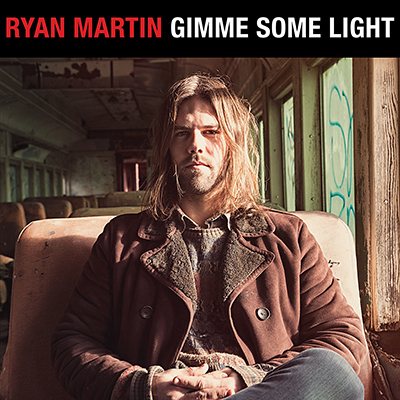 Ryan Martin’s debut, Gimme Some Light, is the sound of catharsis and renewal, regret and reinvention. Drawing from the same well of timeless American music that informs artists like Neil Young, Ryan Adams, Gillian Welch and Bruce Springsteen, Martin’s themes can get dark—self-doubt, longing, heartbreak, addiction— but the music is full of bold melodies, energy, humor and hope. Recorded at The Art Farm (Felice Brothers, Nels Cline), in Upstate New York, Gimme Some Light goes deep and wide into Martin’s songbook. From the dark and twangy Americana of ‘Death of Love’ to the driving R.E.M.–ish jangle of ’Say You Love Me’, the modern rock exaltation of ‘Lepers In Armor,’ to the timeless fragility of ‘Real Human Being’; these are classic songs luminous with imagery and feeling. Originally from Los Gatos, California, Martin moved to New York City in 2009, built a band and an audience, and self-released his outstanding, ambitious album, For All The Beautiful Losers. After touring the United States, playing hundreds of shows, and becoming a father, Martin felt he was ready to make arecord that reflected a new sense of energy, hope, and purpose.